From live shows, radio and TV Count Arthur Strong has been around since the 1980s and featured on an award-winning BBC radio series and acclaimed BBC 1 sitcom. The Count will be touring in 2019 with “Is There Anybody Out There?” including a couple of visits to the Leeds City Varieties. Q1: You seem to have a big following on twitter (Arthur_Strong). How do you find this social media lark? Well frankly I took to it like a duck. It’s a marvellous way of keeping in touch with my growing fanbase and it saves me a fortune in stamps. Some of the people on there are a bit stupid though. Not any of you reading this, of course. You’re not stupid. Well I say that, a few of you might be. I suppose there’s always a percentage of stupid people doing everything isn’t there? You might be one of those. So, good luck to you. 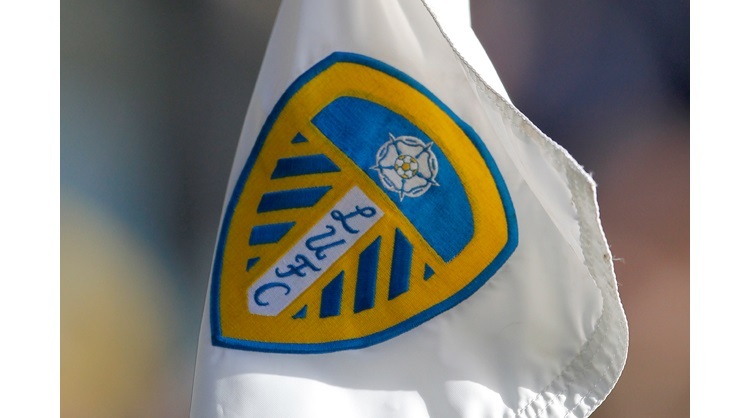 Q2: What would be your earliest memory of Leeds United? Q3: Marcelo Bielsa is in your age group. Is this one of the reasons Leeds have had such a great season up to now? I’ve sent Marcelo several letters advertising my credentials should he ever need to use me. Both as a translator and coach of the St Aidans cubs five a side under 8’s team. I can only presume his letters back to me have gone next door by mistake. Unfortunately, I won’t talk to next door until their cat stops messing on my grass. So, to be honest, I’m not sure what the next step is? Q4: You were one of the first people in Harehills, Leeds to have an electric tin opener. Were you posh? What do you mean ‘were you posh’? I still am thank you! Just having electric meant you were posh in those days. Q5: You’re embarking on a tour in September 2019. (Leeds City Varieties 19th Sep & 13th Oct) Why are the two Leeds dates separated so far and do you expect Leeds folk to pay to get in? Of course, I expect people to pay. I’m not stupid. The two dates are so far apart because I’m hoping that some of the more challenged people in the audience might forget they’ve seen it and come again. That’s how stupid I’m not. Q6: When you play Harrogate on the 18th Oct will you put a posh voice on so they can understand you? No. My mother had the common sense to send me to elocution lessons as a young boy so I talk posh wherever I may be. Even in Morrison’s. People used to say I talked like I had a mouthful of plums. Or ‘plams’ as I call them. Q7: Would you ever consider finishing your gigs with the Leeds fans’ anthem ‘Marching on Together’? Well I usually finish with the National Anthem so it would depend if there was any payment involved? Talk to my people I’m sure we can come to some sort of arrangement. Q8: Which Leeds United player did you admire most when growing up and did you ever meet the great Don Revie or any of the other Leeds’ greats? The so called ‘Steve Delaney’ who claims to be my ‘alter ego’, though for the life of me I’ve never been able to work out what he does, apart from picking his nose in my vision, claims to have met Paul Reaney and Bobby Collins. Both when he was a schoolboy and used to help out at the Beck Garage in Bankside Street, Harehills. The proprietor Bernard Lund was a friend of some of the team and they used to bring their cars in. He says he got Paul Reaney to write his autograph four times on the same bit of paper, later selling it at school for a shilling. Also, Billy Bremner used to regularly push in, in front of him in the queue at the fish and chip shop on Halton Hill. Q9: You’ve been described as a ‘Doncaster Don Quixote’. Are you flattered by this and have you ever visited Doncaster as I see it’s not part of your tour? Of course, I’ve visited Doncaster. I was evacuated there during the war. I went to stay with my Auntie Irene who talked to lamps. Have you not read my wonderful autobiography of myself, ‘Through It All I’ve Always Laughed’? Still available on the amazon etc. I don’t know what the other bit of the question means. I’ve met Don Estelle if that’s what you’re getting at? Q10: Have you tried getting back on TV. There’s that Netflix and Amazon now who surely need some comedy material? Well as you can imagine I literally get offers all the time but it’s a matter of sifting through the muck and choosing the right thing. I mean I wouldn’t do anything like ‘Big Brother’. Nothing like that rubbish. And if I did the money would have to be good. It would have to be very good. We’d be talking the high hundreds if anybody’s reading this on the production side of it? Q11: Your comedy has also been quoted as part-Seinfeld/part-Chekhov. Is this not too high-brow for us Yorkshire folk? It will be for some of you yes. Don’t let it stop you buying tickets though. There’s something for everyone in one of my shows. Even if you’re stupid. Q12: You’ve been characterised as a befuddled, clapped-out performer who gets his words mixed up. Is this a fair assessment? Point me in the direction of whoever said that. Q13: IF Leeds do get promoted will you celebrate in any fashion? I will go for an all I can eat Chinese buffet and will get suitably inebriated. Q14: Finally; any chance of giving a tight Yorkshireman free tickets for either of your Leeds gigs? Sorry Q14 didn’t quite come through properly. I can’t quite make the words out, which is a shame. Count Arthur Strong will tour the UK between September and November 2019. Titled Is There Anybody Out There?, his new show will focus on his passion for astronomy. The character says: "Do not miss this not to be missed type of thing!"